This crisis is most keenly felt for low-income Californians, who have suffered for years from housing supply falling far behind demand. There is now a shortfall of nearly one million homes affordable to the state’s lowest-income households, reports the California Housing Partnership Corporation. But most working Californians are suffering from a similar problem: According to a report by Redfin, 83 percent of homes in the state are now unaffordable on an average teacher’s salary ($69,300). In expensive housing markets like San Francisco, that number drops, literally, to zero. So, what can be done to get enough homes built—close to jobs and transit—to make housing in California more affordable? This question is at the heart of one of the California Economic Summit’s One Million Challenges—an ambitious effort to focus the Summit’s unique network of business, environmental, labor, and civic leaders on the biggest obstacles standing in the way of widely shared, sustainable economic prosperity. At the 2015 Summit next week in Ontario, 400 leaders from the public, private, and nonprofit sectors will explore how to bring their combined resources to bear on this complex problem. While housing advocates have been working for years to replace redevelopment funds, expand state housing tax credits, and create dedicated sources of revenue for affordable housing—with limited success—the Summit has concluded that closing California’s “housing gap” requires an even more comprehensive approach. In an emerging action plan that will be refined by participants at the Ontario event, the Summit outlines an array of ideas for expanding resources for subsidized affordable housing, while also increasing production of market-rate housing near transit and jobs. It is increasingly clear that both will be necessary to make an impact on the state’s housing crisis. These ideas include promoting wider use of new local financing tools to pay for housing-related infrastructure costs, which can be responsible for as much as $58,000 of a median-priced $450,000 home. Other proposals include reducing uncertainty for developers by expanding existing CEQA exemptions to affordable housing projects and identifying inclusionary zoning policies that encourage local governments to plan for higher density in their Housing Element. Many state and local leaders are already working on this issue, including state Assembly Speaker Toni Atkins (D-San Diego), who introduced a wide-ranging package of housing bills supported by the Summit this year. 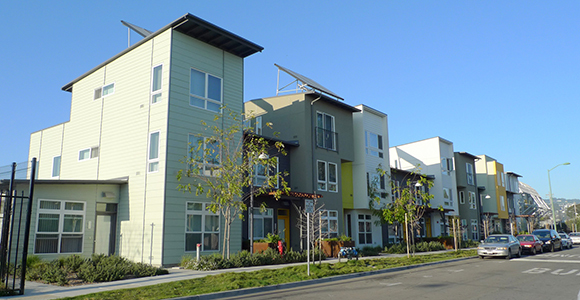 Cities like San Diego and San Francisco are moving forward with plans to expand affordable housing, from new bond measures to changes in local permitting processes that increase production. And Treasurer John Chiang, who will be attending the Summit, also recently announced the approval of a set of regulatory reforms that will make it easier for home developers to tap $6.5 billion in underutilized federal housing resources for certain types of housing. Closing the state’s expanding housing gap will take all of this and more—along with a commitment from civic leaders in every region to work together to make housing more affordable. Next week’s Summit in Ontario offers a good place to start.